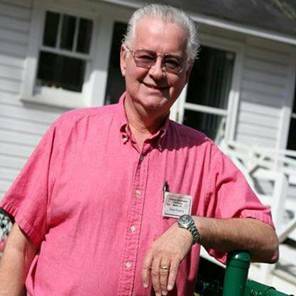 The founding Father of the US Handicapable Association, Dean Emery, went to his eternal rest on January 22, 2013. Kitty, Dean’s wife of 47 years, their children Deanna and Brian, and their families had a celebration of Dean’s life on Sunday, January 27th. The celebration was held at Azalea Hall where Dean’s club, the Square Dealers, dances. Dean’s proudest accomplishments in life were the formation of the Square Dealers Handicapable Square Dance Club in Chickasaw, AL in 1982, and the creation of the National US Handicapable Association in 1988. In spite of numerous health problems, Dean continued to call for the Square Dealers every week until his final calling. Cards can be sent to Kitty at 9354 Johnson Road, Mobile, AL, 36695. Memorial donations may be made to the US Handicapable Square Dance Association, c/o Jim Novak, 33 Goldfinch Lane, Neshanic Station, NJ 08853. Dean will be missed by all! We will be looking to Heaven to our new Angel in the sky! We love you Dean!